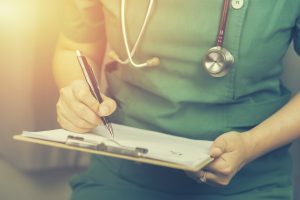 In a recent case, a California appellate court dismissed a plaintiff’s medical malpractice claim because the expert declaration failed to sufficiently support the plaintiff’s claim. According to the court’s opinion, the plaintiff fell and broke her wrist, and was later referred to an orthopedic surgeon. The orthopedic surgeon put the plaintiff’s wrist in a cast. The cast was removed a few weeks later, but because the plaintiff’s wrist looked slightly malformed, a splint was put on her wrist, and she underwent physical therapy. The plaintiff’s wrist did not improve, and she eventually had two surgical procedures performed by another surgeon to correct the problem. The plaintiff sued the original orthopedic surgeon for medical malpractice based on the surgeon’s treatment of her broken wrist. She claimed that the surgeon was negligent in failing to perform or recommend surgery on her wrist, rather than placing a cast on her wrist, and that choosing to do so worsened the plaintiff’s injury. The issue before the court was whether the plaintiff provided sufficient evidence on the element of causation based on an expert declaration she submitted in support of her claim. In California, if a plaintiff claim raises the issue of medical negligence, they must produce an expert declaration if the defendant provides an expert declaration. Otherwise, the plaintiff’s case will be dismissed at summary judgment. An expert can provide testimony if the testimony would assist the jury or judge, and if the subject is beyond common experience. To be considered, the testimony in an expert declaration must be admissible if admitted at trial.